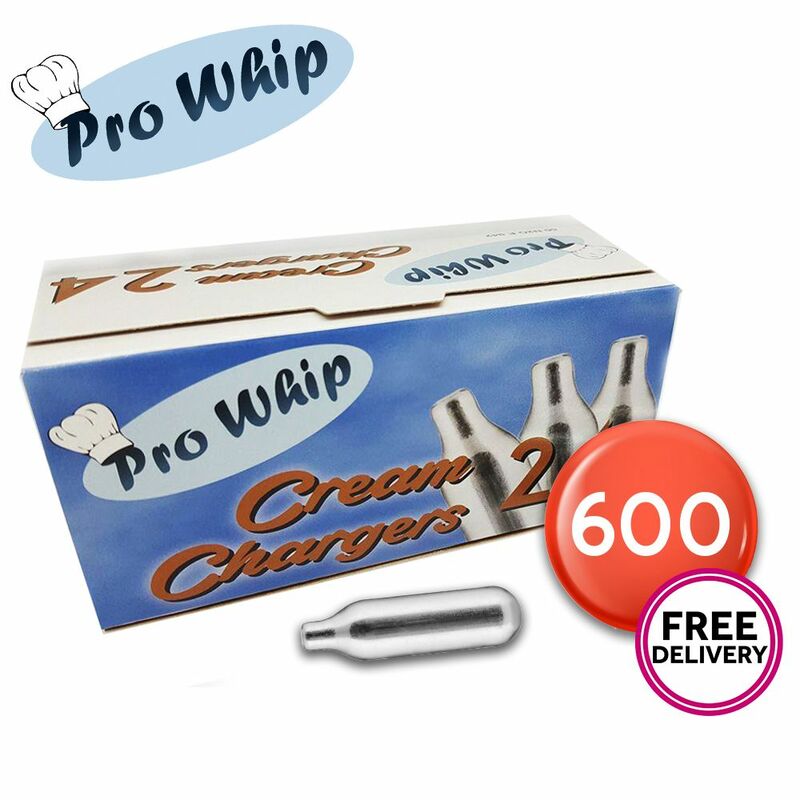 Pro Whip cream chargers are premium quality nickel coated chargers at a great price. Perfect for larger catering events or for experimenting in the kitchen. One nitrous oxide (N2O) cream charger can produce 1/2L of whipping cream or espumas ingredients. Can be used in any standard cream whipper (will not fit Kisag).